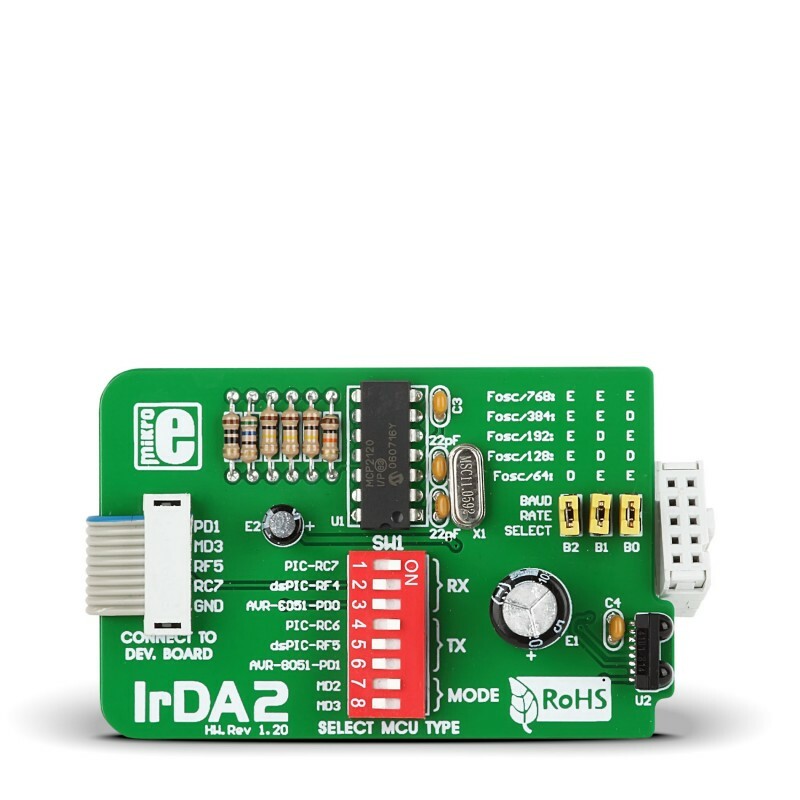 The IrDA2 board features the MCP2120 infrared encoder/decoder placed between the UART and infrared (IR) optical transceiver. 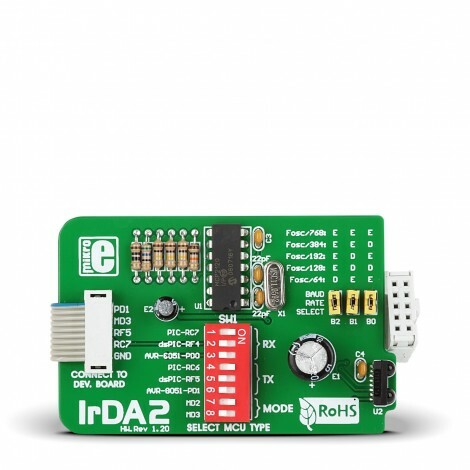 The IrDA2 board features the MCP2120 infrared encoder/decoder placed between the UART and infrared (IR) optical transceiver. The modulation and demodualtion method is performed in accordance with the IrDA standard. The TFDU4101 diode is an infrared transceiver module compliant with the latest IrDA physical layer standard for fast infrared data communication.